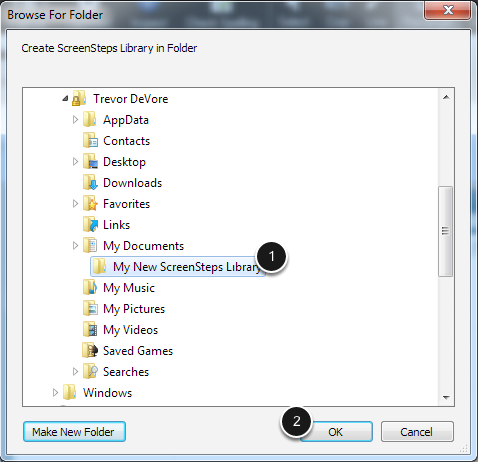 ScreenSteps enables you to work with multiple libraries. This can be useful if you have different products that you are documenting or want to keep work content separate from personal content. This lesson will show you how to create a new library. and you will be presented with a folder selection dialog. 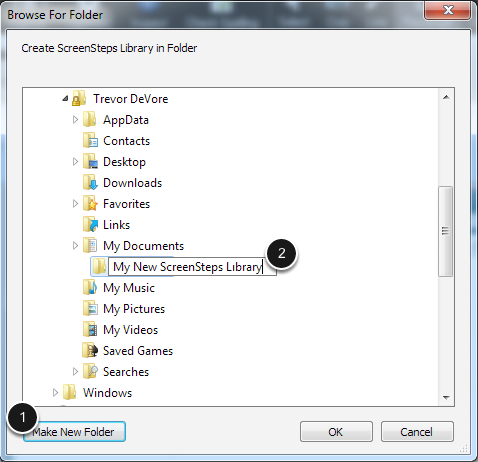 Create a new folder (1) that will server as a ScreenSteps Library folder. This is where all of the images and data for your library will be stored. 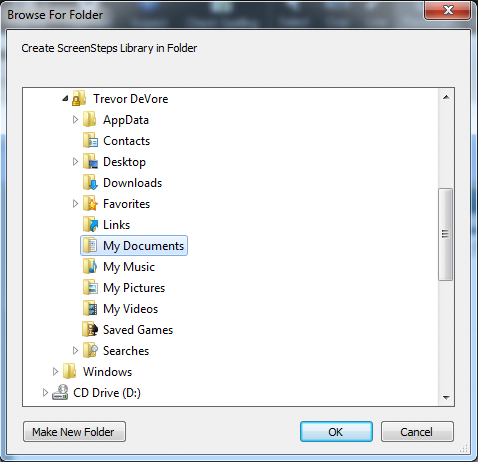 Once you have created a new folder, select it (1) and click OK (2). 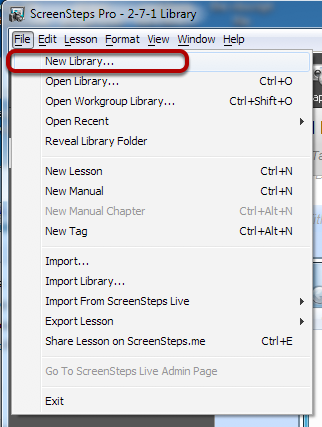 You have now created a new ScreenSteps library folder.